“In Saudi Arabia, a kingdom where postal codes are rarely used, most people pay in cash, and shopping is done in giant air-conditioned malls, building an online retail business is no easy task,” per Reuters. And yet, the e-commerce sector in the United Arab Emirates has been rapidly growing thanks to an array of mergers and acquisitions over the past couple of years, with investors looking to tap into the region’s huge population of affluent and digitally savvy individuals. Unsurprisingly, the region is the site of the latest show of force by e-commerce giants Yoox Net-a-Porter (“YNAP”) and FarFetch. In April 2016, YNAP made the first move, announcing that Mohammed Alabbar – by way of his Alabbar Enterprises company – would take a 4 percent stake in online fashion retail group in a move expected to push its growth in the UAE, Saudi Arabia, Kuwait, Qatar, Bahrain and Oman. Not to be outdone, FarFetch – which is now the home of Net-a-Poter’s founder Natalie Massenet, who acts as the London-based e-commerce site’s co-chair alongside founder Jose Neves – announced in January that inked a deal with Chalhoub Group, one of the region's largest luxury distributors, for a joint venture of its own. The two giants' endeavors in the Middle East prove to be just the latest development in a larger squaring-off, one that has been rife with comparisons, some interesting valuations, and, of course, stark disagreements about which one of the e-commerce giants is better situated to thrive. 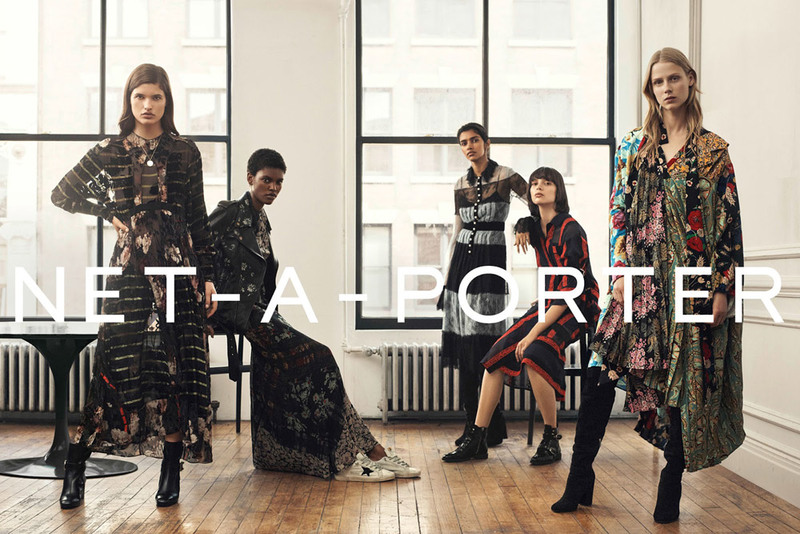 YNAP – which was created in 2015 as a result of the 6-year-long merger of Yoox, Italy’s sole “unicorn” (financial lingo for a billion-dollar start-up) with then-rival Net-a-Porter – is on track to de-list from the Borsa Italiana stock exchange following the end of a takeover offer launched by Cartier-owner Richemont with a valuation of approximately $6.2 billion, according to Reuters. The mega-group has, over the past year or so, trotted out private labels; celebrated the year-anniversary of its London-based 500-person staffed Tech Hub, which is working “to accelerate innovation and deliver best-in-class technologies,” including in the customer service space; added a high-end jewelry and watches component to Net-a-Porter, which it expects to bring in $124 million in revenues by 2020; and signed a multi-year deal with Ferrari to offer the Italian automaker’s merch, for now, and if YNAP CEO Federico Marchetti has his way, the cars, themselves, in the not too distant future. Nonetheless, YNAP has been routinely pegged as the less optimal of the two, particularly by Business of Fashion columnist and Exane Paribas’ analyst Luca Solca, who took a markedly strong stance against YNAP in a February 2017 article, entitled, The Trouble with Yoox Net-a-Porter.According to Mr. Solca, among other things, “Net-a-Porter risks being left behind by the industry’s changes" when it comes to technological advances in the industry and luxury brands’ strategies. In another article in November 2017, BoF questioned the valuation of YNAP, noting the emergence of two new rivals – Farfetch and MatchesFashion – which serve as “severe threats to [YNAP’s] dominance" as the sole leader in global luxury e-commerce. As of now, Crunchbase reports that FarFetch – which recently launched a partnership with New York-based sneaker startup Stadium Goods and announced a fine jewelry marketplace with the likes of De Beers, Chopard, David Yurman, Pomellato and Tiffany & Co. – has brought in $721.5 million in funding from the likes of JD.com, IDG Capital, Vogue’s parent company Condé Nast, Index Ventures, Felix Capital, and prominent investor Carmen Busquets (the latter three have also invested in heavily BoF, among other fashion ventures). 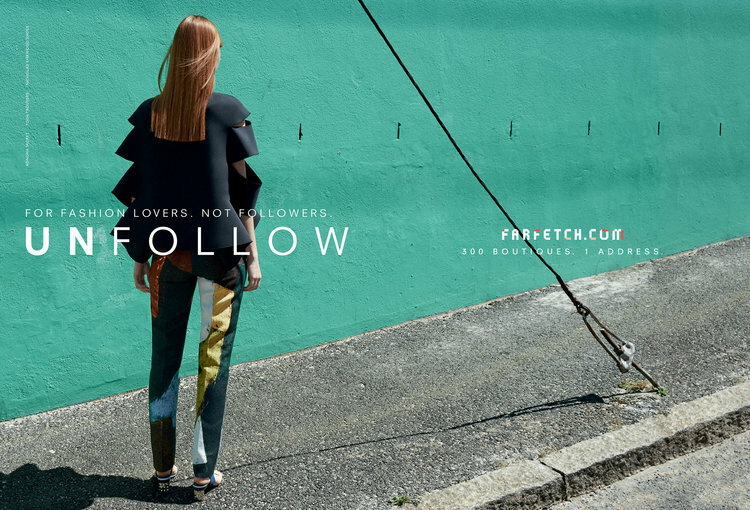 FarFetch is said to be readying for an initial public offering, with a valuation of “around $6 billion,” per CNBC. Of course, the financial news site did not fail to note that the 6-billion figure is very similar to the current valuation of YNAP. In the meantime, this is one rivalry we (and analysts) will be watching closely. Posted in Fashion and tagged Battle, e-Commerce, FarFetch, Giants, Look, Middle East, YNAP.